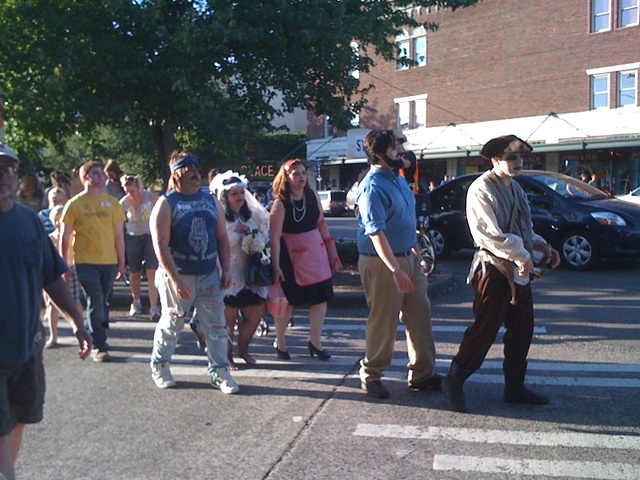 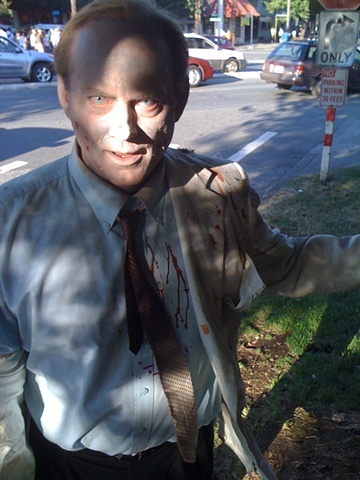 After having dinner, my partner & I ran into hundreds of people made up as Zombies. 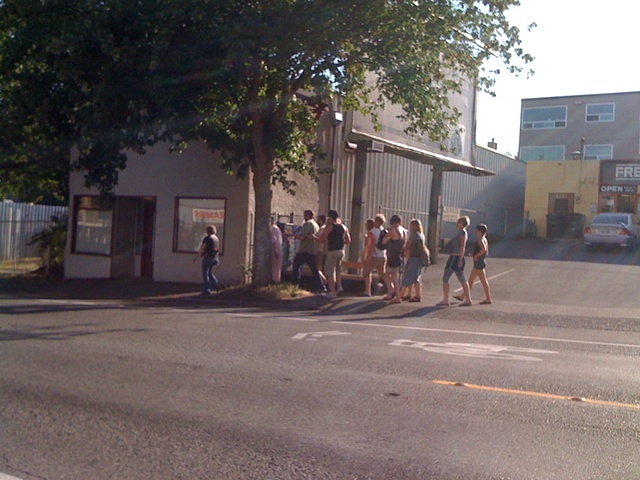 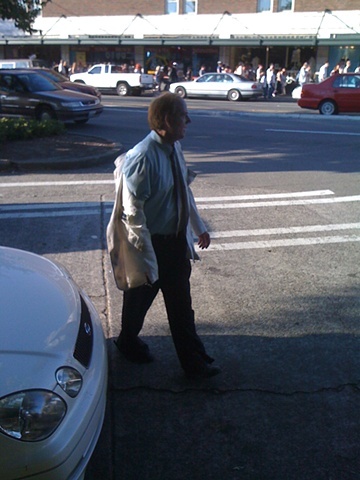 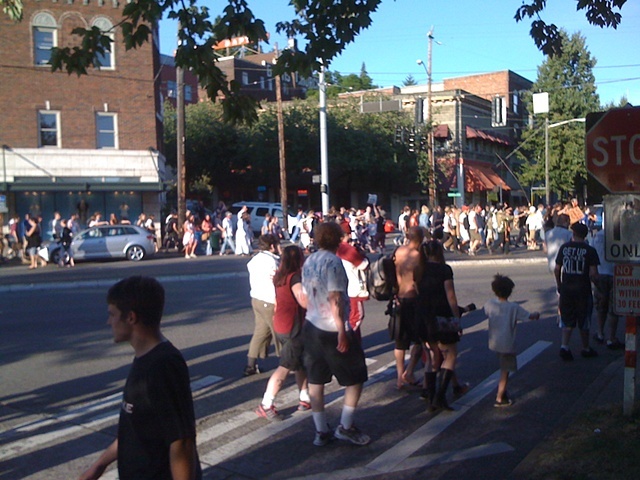 They walked through the Fremont neighborhood, but responsibly, as they were managed by crowd control with signs & walkie talkies. 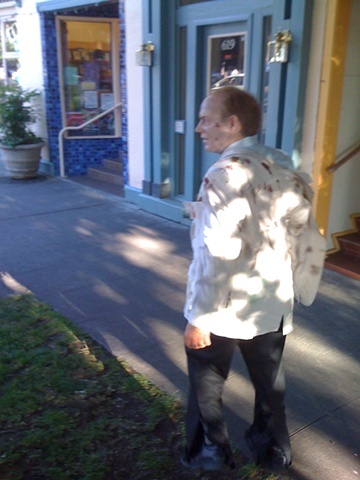 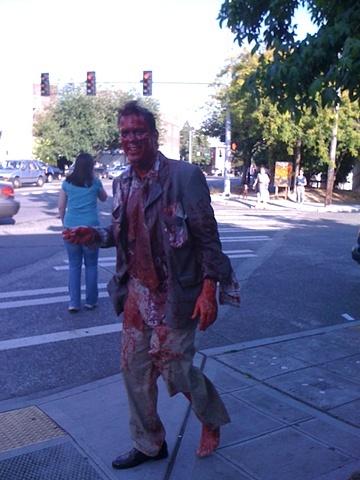 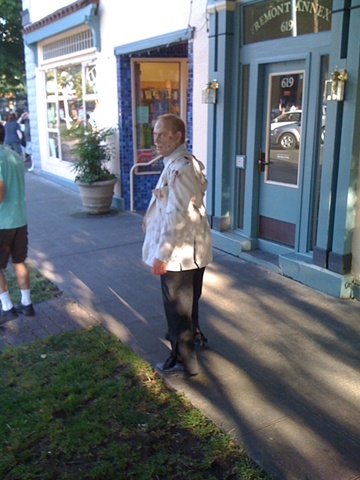 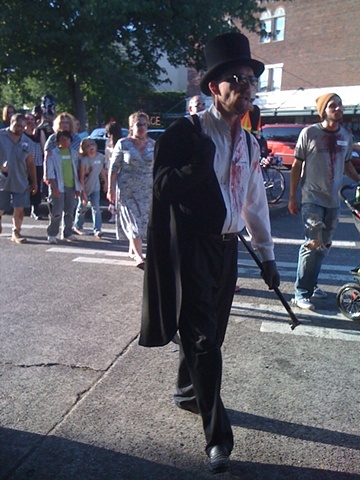 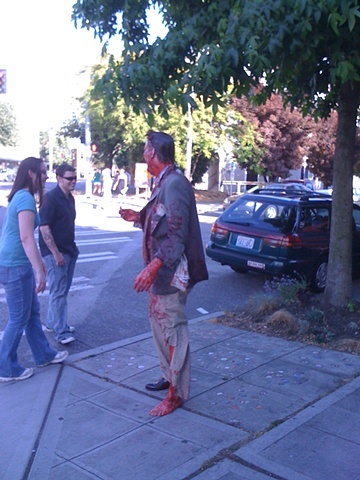 Seems as though the Zombies had to take over before the fireworks folks tromp through on the 4th!